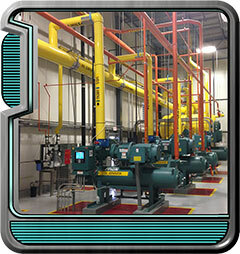 Industrial Ammonia Refrigeration System Experts Since 1959. 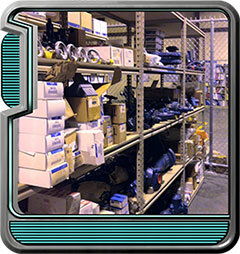 Fisher Refrigeration is aware that in a breakdown situation, the availability of parts is critical. Fisher Refrigeration provides your company with a new degree of service. Ammonia refrigeration contracting and construction solutions including; design, build, renovation & addition. 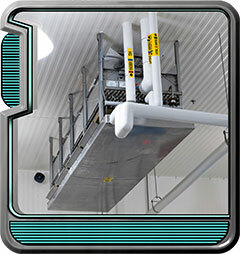 At Fisher Refrigeration we pride ourselves in our design and installation ability. Introducing A New Degree of Service. Since 1959, Fisher Refrigeration has been designing and installing quality industrial ammonia refrigeration systems for the food processing, cold storage, pharmaceutical and chemical industries. Our service department is one of the best trained in the industry, while the parts department maintains an extensive inventory of genuine replacement parts for most manufacturers of refrigeration equipment. Our engineering staff can assist you in designing a new system, making upgrades to an existing system, or complying with current codes. Do you have a refrigeration question? Are you having a problem with your system that no one has been able to solve? Contact us for the solutions, service and satisfaction that only an experienced refrigeration expert can provide. refrigeration systems. Our mission is to provide solutions, service and satisfaction.